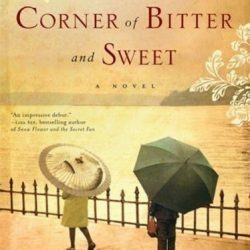 We are very excited to announce that The Holleran Center for Community and Global Engagement is organizing a Book-Club type reading of Hotel on the Corner of Bitter and Sweet by Jamie Ford this Fall. Wanda Copeland, Director of Multicultural Engagement, and Dr. Alicia Sprow, Sustainability Initiatives Coordinator and Co-Director of First Year Seminar, will facilitate discussions about the book on Thursdays: September 27th, October 18th, and October 25th at 2:45 – 4:15pm in the Campus Commons on Alvernia’s main campus. Members of the club will meet with Jamie Ford, the author of the book, when he is on campus on Monday, November 5th for the First Year Seminar/Literary Festival Lecture. Please register to participate by sending an email to Catie Bergstresser at [email protected]. Copies of the book are available at the bookstore on main campus or through local retailers.